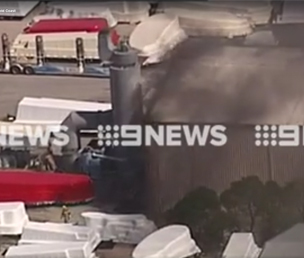 The Narellan Pools factory at Burnside Road, Stapylton in Queensland caught fire on February 6, in the second fibreglass pool facility blaze this year following the Compass Pools warehouse fire in January. 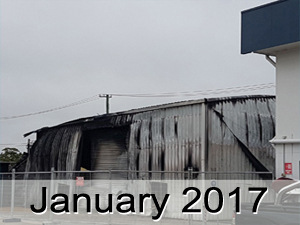 No staff members were injured in the fire and damage was restricted to the production area. There was no loss of stock other than the pools that were being worked on in that area. 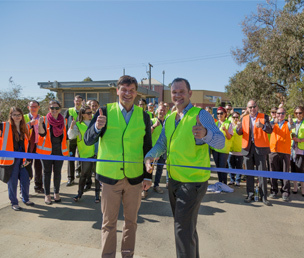 Peter Baily, COO of Narellan Pools, says there have been no delays for client delivery. The Staplyton fire started in the middle of a Queensland heatwave and after several days of 30-plus temperatures. As many as 14 fire fighting vehicles arrived as 45 firefighters battled the blaze for two hours. Fortunately the fire brigade said the wind speed and direction was favourable when they arrived. The cause is still under investigation. Logan Area Commander Kerry Cumner said initial access to the building was difficult due to its structure, and they had to be careful as there were several hazardous chemicals inside the warehouse at the time of the fire. He said that because of the heatwave, firefighters used breathing apparatuses, were given water and were closely monitored by Queensland Ambulance Service. Baily says the facility is back up and running, albeit at a lower capacity. 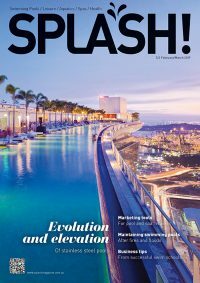 “The team are working very hard to get back to full production in Queensland again, and we expect that to be the case in the coming weeks,” he says. He acknowledged the generosity of the many members of the industry who offered their support following the incident. Click here to see vision from Channel 9 Gold Coast.